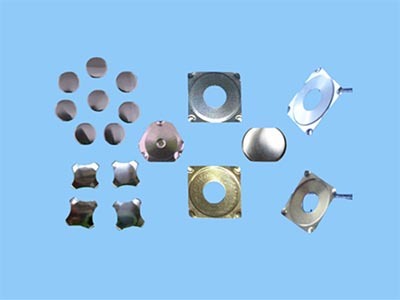 How to Choose Metal Domes for Your Electronic Products? Metal domes (named stainless steel domes, or tactile metal domes), are momentary switch contacts that, when used in conjunction with a printed circuit board, flex circuit, or membrane, become normally-open tactile switches. The metal domes play an significant role in connecting circuits. Therefore, if the metal dome was broken, your electronic products would be destroyed because you choose a wrong metal dome. As a premier expert in metal dome, Best Technology would like to give you several tips about how to choose metal domes. The life of the four-leg metal dome only has 200 thousand to 300 thousand times, but the life in the range of 50 thousand to 1 million times is very few. When it comes to the circle metal dome, such as the domes with 4mm or 5mm dimples, the life of them is 700 thousand to 800 thousand times. It is not advisable to choose the materials according to the price. 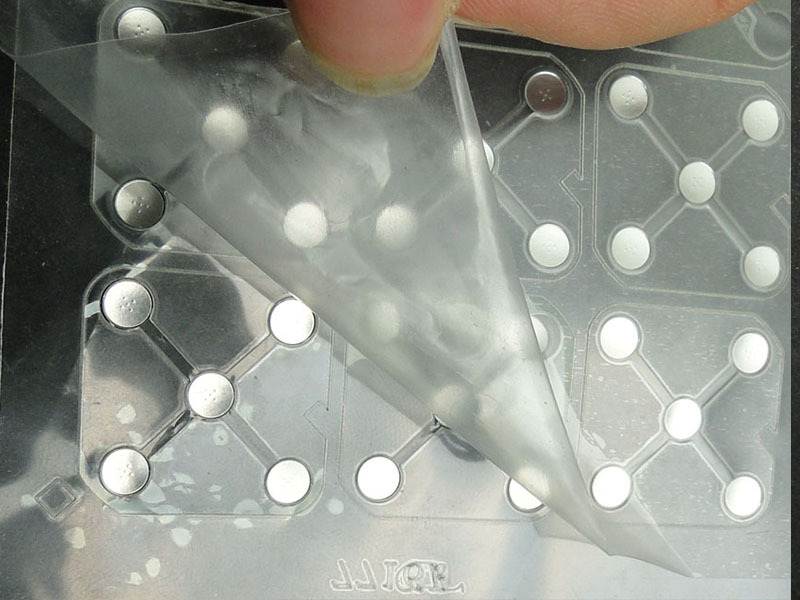 If the material is not suitable, then it will easily cause the case like this: the metal dome can not rebound when it is pressed. It is hard to find with naked eyes and it can only be found by testing. The customers are strict with the force of metal domes, that is, the force should be evenly distributed. Meanwhile, the force should be controlled in a range of tolerance (±20gf). We should pay attention to the outline of metal domes whether there are any dislocation of the dimple, dirt, crush etc.. If you choose the metal dome without a dimple, the contact surface between the metal dome and circuit is relatively large. In case of the dust entering, the rate of poor conductivity of metal domes will increase. The metal dome with dimple only the dimple contact with the circuit. The dust will be left around the dimple instead of on the dimple if there are dusts entering. If there are dusts on the dimple, then you can press the metal dome for several times to make the dust fall off. 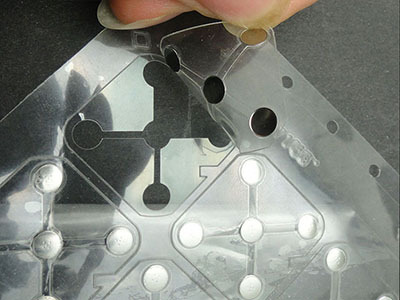 In this way, it will decrease the rate of poor conductivity of metal domes. 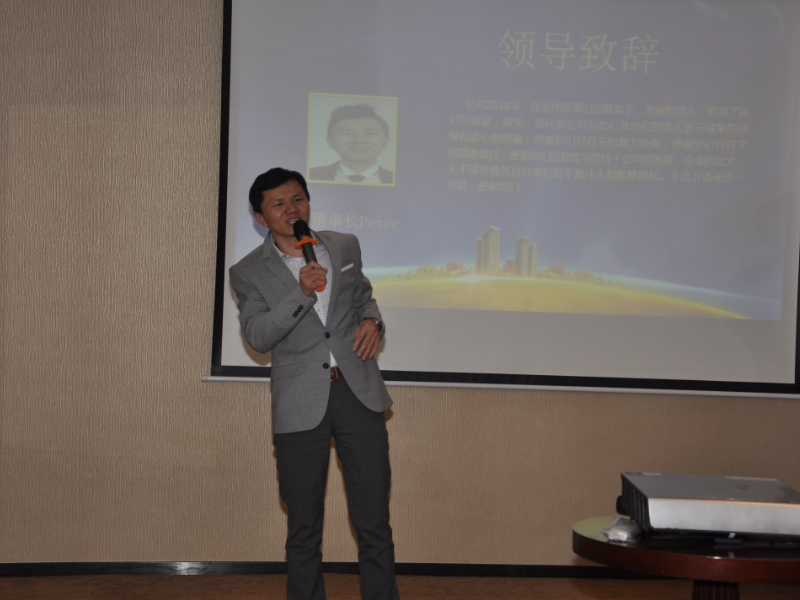 Best Technology is headquartered in Shenzhen China. We have a dedicated team of engineers always striding for the best quality products and services. Therefore, with the rich experience, we are able to tell you how to choose the best metal dome for your electronic products. If you would like to find out more about what makes Best Technology different from our competitors, give us a call at 0755-29091601 or view our website: https://www.metal-domes.com. A lot of problems will come across when we use the touch switch. 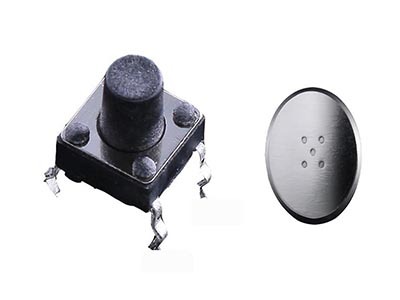 Why the metal dome inside the touch switch cannot be pressed?The truth is the touch switch no function. There are many reasons to be think about why it is no function. To begin with, life is the first one that cause the metal dome cannot be pressed. At this moment, Best Technology recommends putting the metal dome to the life testing equipment and analyze whether the life of metal dome has already reached the working life. Secondly, operating the metal dome in a wrong way will also cause it no function. Generally speaking, visualization is able to judge whether the metal dome can be pressed. Because the original shape of the metal dome is convex. If the shape of the metal dome is concave, it indicates that the metal dome cannot be pressed. Finally, even though the metal dome can be pressed but it still has no function. It means that the touch switch is not conductive. There are several reasons for this. On one hand, the legs of the touch switch were oxidized or damaged. On the other hand, the metal dome inside the touch switch was oxidized, too. so that the outer oxide layer would prevent conductivity. 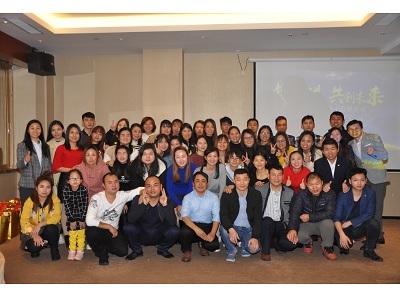 Since established in 2006, Best Technology Co., Ltd. was founded specifically to serve the membrane switch and related mechanical switch industries, to be customers’ best partner of metal dome and dome array in China. The metal dome and PCB have poor contact when there are dirty things on the dimple of metal dome. 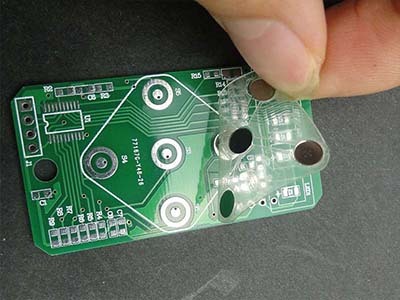 The goldfinger on PCB (printed circuit board)/FPC (flexible printed circuit) is oxidized then affect the contact between the board and the metal dome. 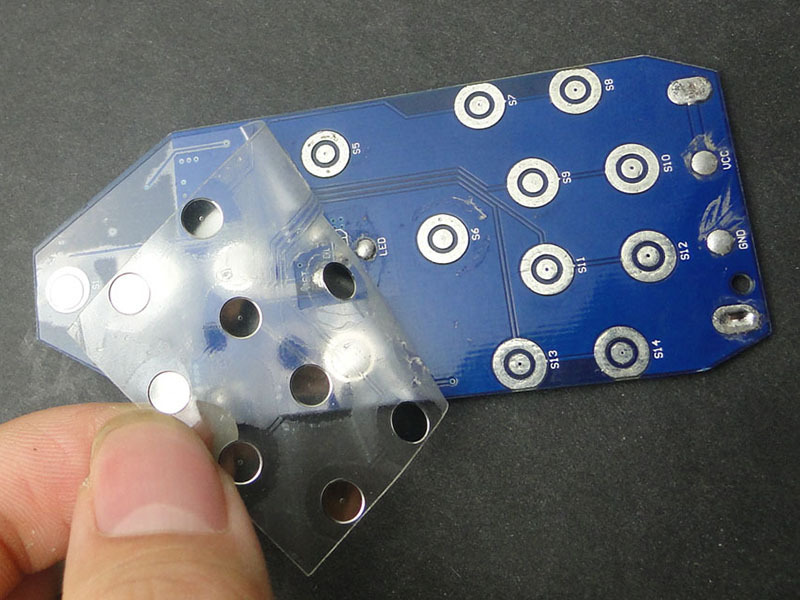 The shape of the metal domeis not matched with the shape of tabs on the PCB/FPC. Solution: replacing the corresponding metal dome according to the shape of tabs on the PCB/FPC. The gap between metal dome and the key is too large. Solution: changing another metal dome with suitable stroke according to the parameter of design. Solution: increasing the height of metal dome or shorten the gap between the key and metal dome. 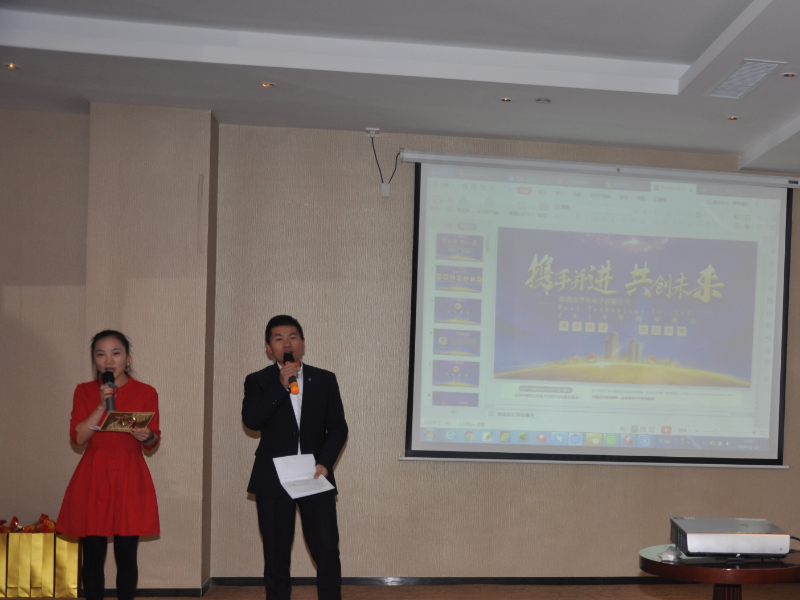 Since established in 2006, Best Technology is always dedicated to provide the most suitable products for clients, to be customer’s best partner of metal dome and dome array. What should we do after collecting the metal domes? Please check the video below. 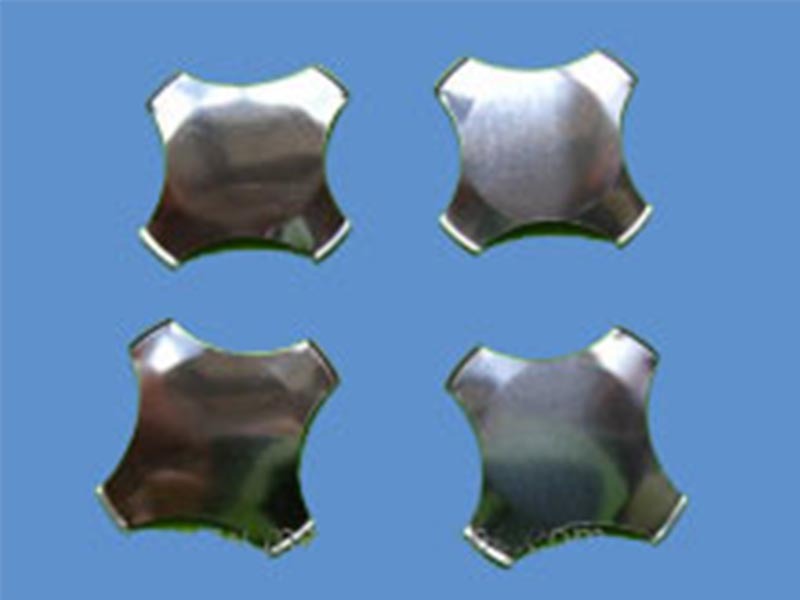 The video shows some steps of how to assemble metal domes. At first, we need to customize an assembly jig according to the products those customer needed. Then put the tube that has already collected metal domes in the corresponding hole of the jig. The adhesive PET film has been already positioned in the jig and the metal domes will pop out through the airflow from the bottom to the top when pressing the assembly equipment. At this moment, the metal domes will be pasted on the hole of the adhesive PET film. After that, the process of assembling metal domes is over. It is very easy, right? By the way, if you would like to know further information about collecting metal doems, please click How to Collect the Metal Domes to the Tube? How to Collect the Metal Domes to the Tube? 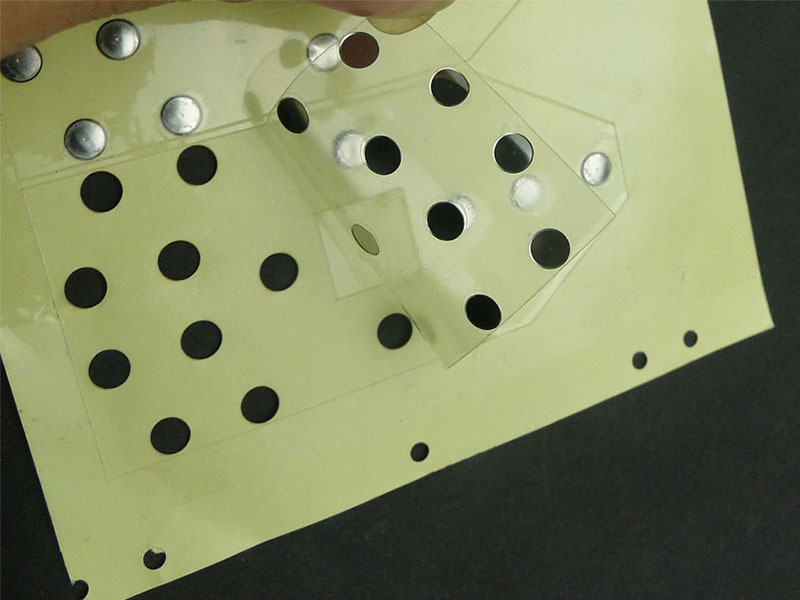 We often receive a question from the customers like this: “How to place the metal domes on the adhesive PET film?” General speaking, there are two methods to assemble the metal dome on the adhesive PET film, including half-auto assembly and full manual assembly. The half-auto assembly is applicable to the oblong metal dome or the circle metal dome with smaller diameter, such as diameter 4mm and 5mm. Because the half-auto assembly will be used to answer the question, the full manual assembly will not be explain in details. In order to show you the details about how to place the metal dome on the adhesive PET film, two videos have been prepared as following? The first step is collecting metal domes. Please click the video below: How to collect the metal domes to the tube? To begin with, the metal domes are needed to put in the collecting machine and the tube which is used to collect metal domes should be placed in the end of the conveyor belt. Then the metal domes move slowly on the conveyor belt and the direction of them also change slowly. All of metal domes are in one direction and face up. Only in this way to ensure the metal domes are face up when they get into the tube. However, why the metal domes require to face up? Because the adhesive PET film is facing down during assembly, the right way to assemble is that the metal domes face up to the adhesive PET film. Meanwhile, at the next video you will know the second step about metal domes assembly, click here for more: How to Assemble the Metal Domes? In the manufacturing process of metal dome, the metal dome will be inevitably touched by fingers. The fingerprint and grease left will accelerate oxidation of metal dome and reduce its life. Then the quality of the metal dome getting lower is followed. Therefore, the quality inspection of the metal dome is one of the important parts to enhance the product competition. Nowadays, the visual inspection is used by a majority companies, but it is inefficient and easy to misjudge. 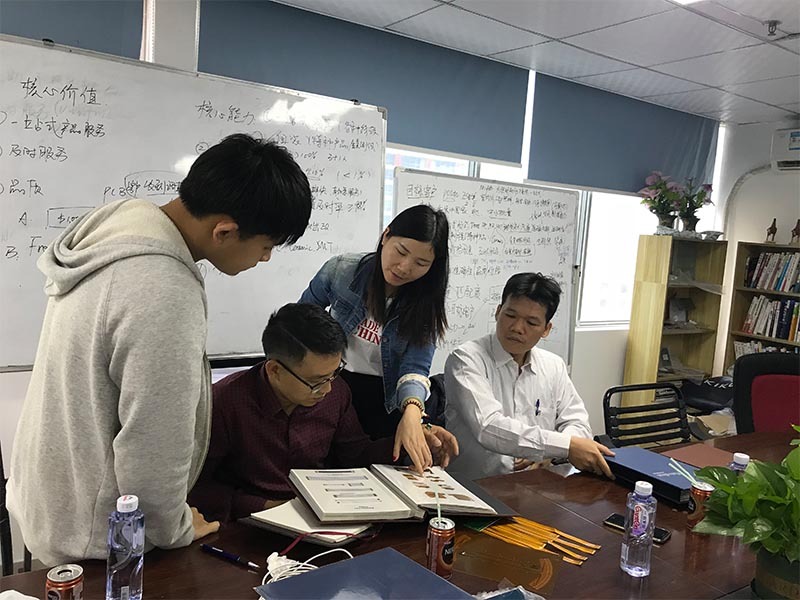 In order to improve the production efficiency, so a sort of method based on machine vision for fingerprint inspection of metal dome was proposed. 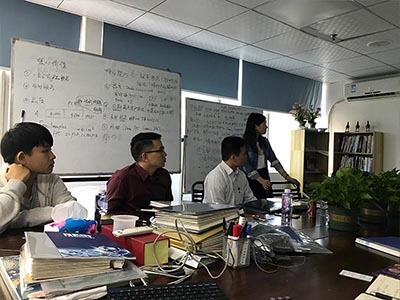 The method uses Generalized Hough Transform to locate the target, extracting the Gray-level Co-occurrence Matrix of targets and supporting Vector Machine classification, which realizes the automatic inspection of the quality of the metal dome. Most of the experimental results show that the method has achieved good effect and got practical and promotional value in a certain. Since established in 2006, Best Technology always tries its best to use the most advanced technology to inspect the metal dome, to be customers’ best partners of metal dome and metal dome array with high quality. What Will Cause the Metal Dome Can’t Rebound? The reason why the metal dome is pressed but do not rebound maybe related to the operational environment as well as the using habits of the operators. The metal dome must be used in a flat surface. It is a very long stroke if the metal dome is pressed on a concave surface, which is easy to cause anti-concave of the metal dome. And pressing the metal dome with a strong force will also cause anti-concave of it. In addition to the above reasons, there is still another one: the metal dome has deformed. The material is squeezed during transportation. The metal dome is stuck by the jig. Tweezers are used in the manufacturing process. Using foam to wrap a few laps when the material is packed, then put it into the carton,sticking a fragile tag and ask the courier to take it carefully during transportation. Using tweezers to pick out the metal dome that is stuck by the jig.The metal dome should not be reused if it is stuck in the jig. In order to prevent the metal dome from deformation, using tweezersto clamp the metal dome should be lightly in the manufacturing process. If you also would like to know further information of click feeling about metal dome, click here to read How to Calculate the Click Feeling of Metal Dome? 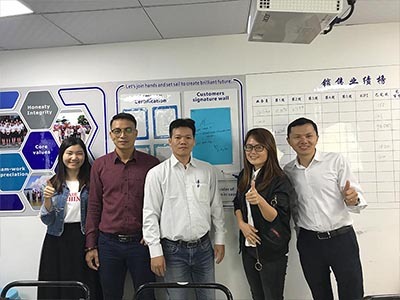 On October 18, 2018, Customers Son and Nguyen from Vietnam visited Best Technology. They are very interested in our metal dome and Flex PCB. For the first stop, they came to our office and there were a warm welcome for them. 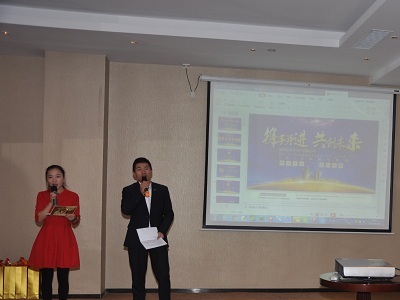 To begin with, our salesman Connie and Celine introduce the information about metal dome and FPC to them. 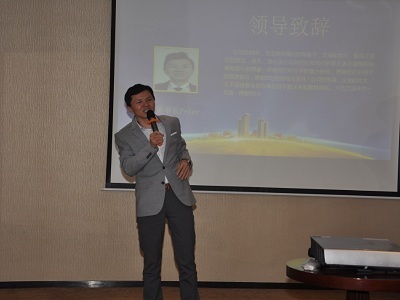 During the conversation, in order to provide the most suitable products and the most service for customers, we have also learned their requirements. 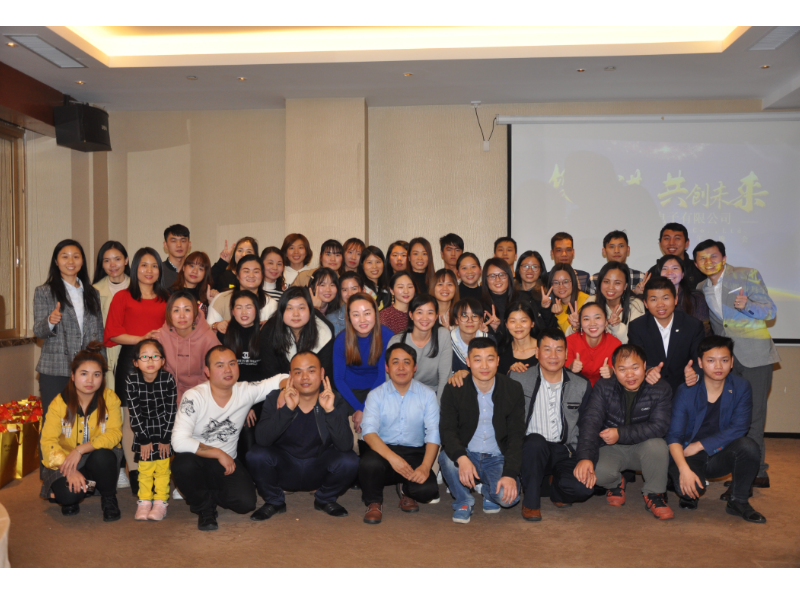 In order to let the customers know Best Technology well and build a good sense of trust, we showed the culture and strength of our company. 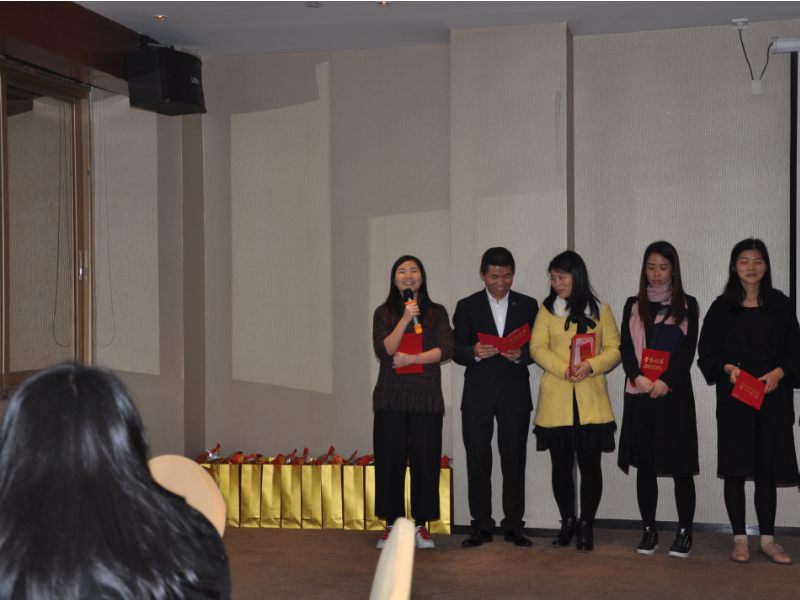 A video was played to let them learn more about our company’s product manufacturing capability and history. After the meeting, we invited the customers to sign their name on the company cultural wall and took a photo with us.